Thank god. 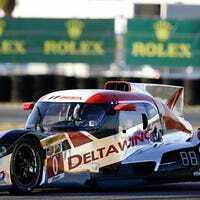 Stability at last for Bryan Herta’s little team. I am happy, but conflicted. Hey you! Do you have children? Then send them to sleep with the soothing feel of a 13B rotary! A vintage racer I have a slim chance of owning? I love these Sports 2000 cars, they're so wonderfully shaped. Just look at it! Good books about Pre-War Gran Prix Racing? Ive really been looking to learn more about Gan Prix racing from the 1910s-1930s, basically when it was just starting, or something about land speed record cars I can't really seem to find any so I'll take anything. Any suggestions Oppo? Ford GT: Cathedral or Pig? Its a beauty. All work was done custom, they made all kits specifically for this car. I love it so much. Oppo I need your help. Whats the price on these?